Chapter 5: Why Not the United States? During my research for my other blogs I have noticed that the United States is one of the only countries that does not label genetically modified food, which is a bit strange. www.nongmoproject.org is a non-profit organization committed to protecting the non-GMO food supply and informing people more about non-GMO products. 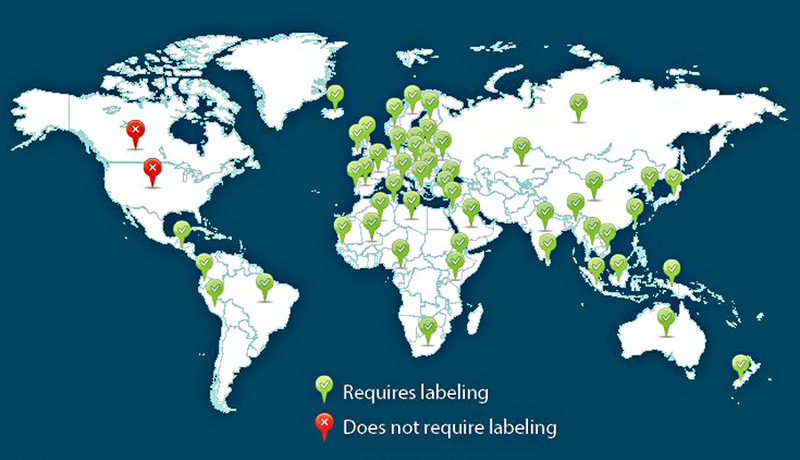 The non-GMO project website states that most developed countries such as Australia, Japan, and all of the countries in the European Union do not consider GMO’s to be safe. There are either a lot of restrictions on GMO products or they just completely ban the product. So why does the United States consider GMO’s to be safe while other countries go to the extremes of completely banning a product that contains GMO’s? Apparently, the United States government has approved GMO’s based on tests and studies that have been done by the same companies who created these studies and benefit from the sales. Doesn’t this seem a bit hazy? Why doesn’t the U.S use the same tests and studies that these other countries use to thoroughly test if GMO’s are safe to consume? I personally think that there should be a nationwide test so that every country has the same procedures and outcomes for testing if GMO’s are safe. So is there a way of really knowing if GMO’s are safe? Most countries say no, while few say yes. I guess we will have to wait and find out the hard way. Hi Sandra, I think that you raise a good point. It’s very interesting that most countries other than the U.S. have strict policies on GMOs and it should make Americans wonder what the government really is doing to protect us. I agree that there definitely is some bias in the tests that are done by the companies that are also distributing the GMO products. Eventually the truth about if GMOs are dangerous or not will come out. Wether or not to use GMO’s I would say GMO’s are essential to provide food and goods for the community, it is not possible for us to have protein for breakfast, lunch and dinner seven days a week for over 30 million people without the GMO’s. But I guess it become frustrating to know that those developed countries are regulating and filtering what we know about our food. Everyone has the right to know what their food are made of.